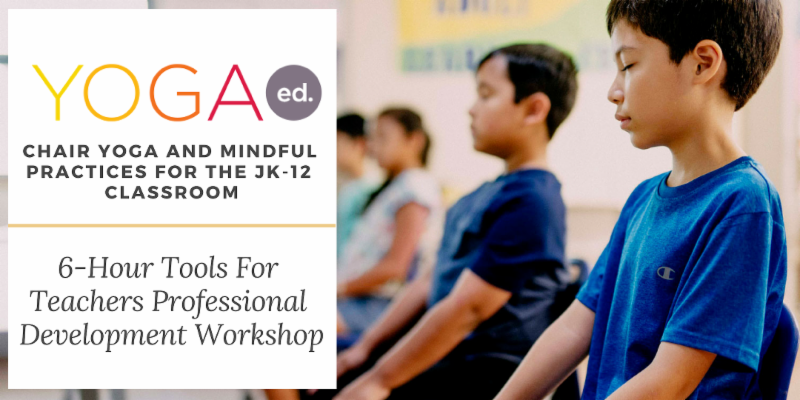 This 6-Hour Tools for Teachers Professional Development Workshop equips you with a broad variety of basic principles and tools to implement short yoga breaks with children or teens. You will learn and practice yoga tools to effectively promote health, learning, and achievement. This workshop will provide you with a deeper understanding of how to identify challenging times during your child or teen's day, and successfully utilize yoga tools to shift them into a more positive state of mind. 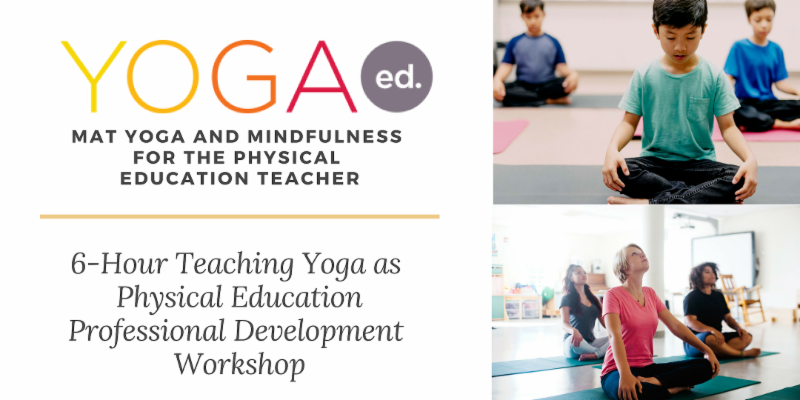 This 6-Hour Teaching Yoga as Physical Education Professional Development Workshop will help you create relevant, fun yoga classes to engage your students and promote health, wellbeing, and academic success. In this workshop you will learn the physical, mental, emotional, and social benefits of yoga for children and teens in order to develop age-appropriate lesson plans that go beyond the yoga mat to nurture life skills. You'll finish the workshop ready to create yoga lessons to meet your students' needs, all the while adhering to the National Standards for Physical Education. 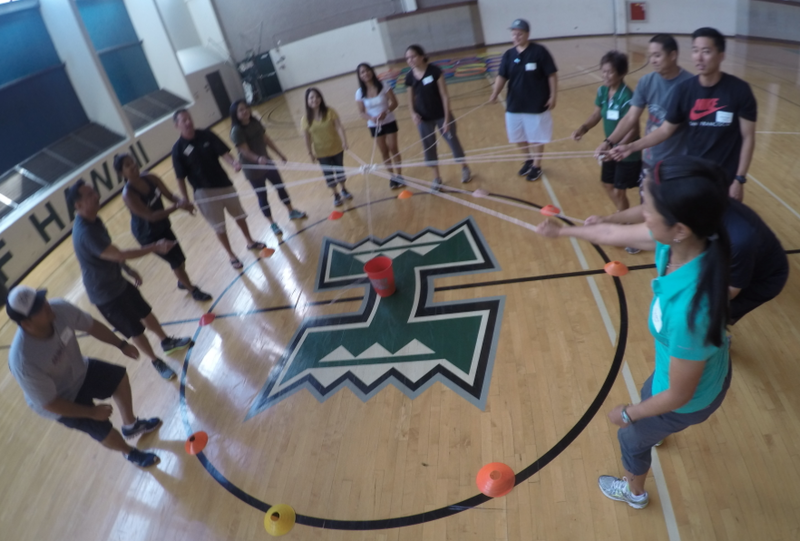 What do you get when you combine lots of aloha, with one of our nation's most passionate and decorated PE professionals, a SWD TOY, one of the top PE equipment providers, with over 200 teachers, at five different sites, on four islands, for five straight days in Hawaii? Whew, makes us tired just thinking about it! 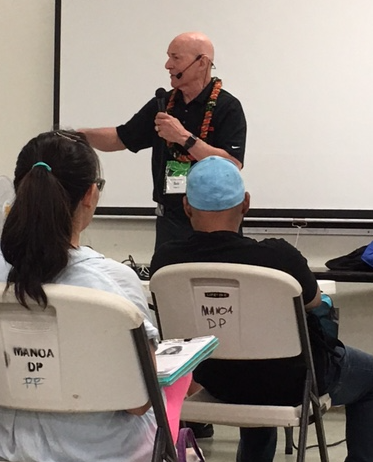 But that's right, you must be thinking it was the 2016 Hawaii PE Summit with Dr. Robert Pangrazi & Maria Corte. Many teachers showed up for this free event and attendees sure didn't go home disappointed. Dr. Pangrazi's passion and love for the profession was clearly evident before the workshop even started. He personally greeted attendees as they arrived and immediately shared his philosophy when it came to teaching quality PE. He couldn't express enough how important it was for teachers to have a clear set of rules, effective consequences, research-based management strategies, and for PE teachers to make sure they, "do what they love, and love what they do." The future of our nation's health and well being is too important to just phone it in everyday and simply "roll out the ball". Throughout the day, attendees were given opportunities to participate in a variety of creative activities that get kids up, moving, exercising, and learning. 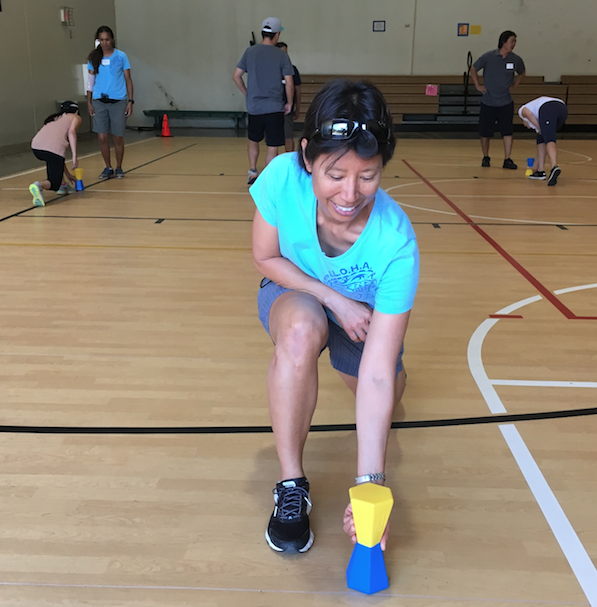 Past SWD TOY and co-presenter Maria Corte also shared many fun team-building games, fitness relays, and fitness assessment ideas including the use of the Gopher FIT-Step Pedometer. The end of the day was punctuated a raffle giveaway where Gopher handed out free equipment for teachers to bring back to their schools. Sponsored by Gopher Sport and HAHPERD, this event was put on by so many caring volunteers for the dedicated PE & health professionals in our state. Special mahalo to everyone from the DOE, HAHPERD, Gopher Sport, Dr. Pangrazi and Maria Corte for all your time and hard work in making the entire week a great success! As we start the new school year, HAHPERD would like to recognize the following people for their contributions to the profession and more! Are you new to HPER as a profession, OR have you been in it for a while and would like to add some adventure to your professional career? Are you interested in contributing your talents to a professional organization? Do you want to do more that just attend workshops and conferences? If you are, consider joining the HAHPERD Board for the upcoming school year 2016-2017. 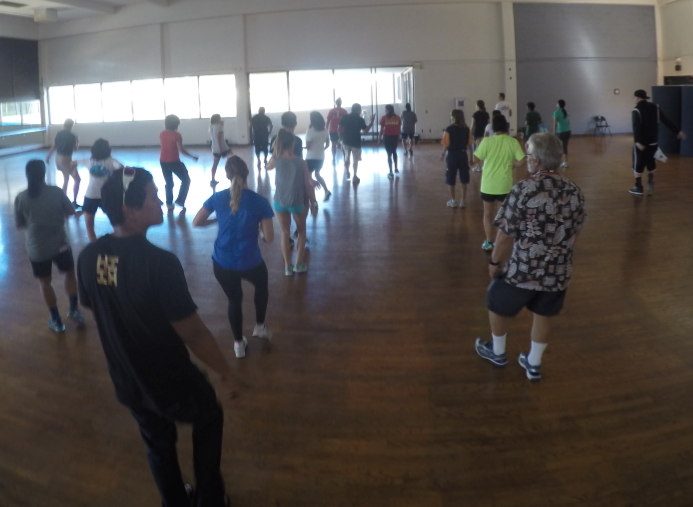 The Hawaii Association for Health, Physical Education, Recreation and Dance is seeking nominations for the Board. network with colleagues with similar interests. raise your level of professionalism through this volunteer experience. contribute to the professional growth of others (coordinating workshops and conferences, advocating for HPER, etc.). network with other professionals at state, district and national levels. You will have a great support team that is willing to assist you in this professional growth opportunity. Is it time for you to take the next step and consider being on the Board? If yes, please contact Yvette Ikari Yvette_Ikari/CENDO/HIDOE@notes.k12.hi.us or Shelley Fey sfey@punahou.edu ASAP. As athletes, physical educators, teachers and coaches, we’ve all probably heard or recited many of these kinds of quotes with our students and athletes. As coaches, we preach these values all the time but as PE teachers, do we do the same in our PE classes? Should developing the skills and knowledge of teamwork only be reserved for those athletes of team sports or should all our students be learning them? One of the catch phrases floating around in education today is the term, “21st Century Skills.” When we hear 21st Century Skills, we often think of learning technological skills like coding, multi-media platforms, robotics, social media and 3D printing. Not too often will you hear someone say that learning key 21st Century skills happen in PE classes. Well, while learning technological skills are indeed important, when you look deeper into what is truly valued by employers today, you clearly see that these skills are actually secondary. For example, the organization Partnership for 21st Century Skills (www.p21.org) describes one of the four major student outcomes as Learning and Innovation Skills, otherwise known as the 4 C’s. These important 4 C’s are listed as critical thinking, collaboration, creativity, and communication. All these skills involve learning to function as a team member and can be taught through team-building activities. In a 2013 Forbes article entitled, “The 10 Skills Employers Want in 20-Something Employees,” a survey was give to 200 hiring managers, asking them to list the 10 skills they desire in an young employee. The top 4 skills they desire in a new hire? Number one was the ability to work in a team, followed by the ability to make decisions and solve problems, the ability to plan and prioritize work, and finally, the ability to communicate with people inside and outside and organization. Even more revealing was an even larger survey of 400 employers conducted by The Conference Board, Corporate Voices for Working Families, The Partnership for 21st Century Skills and the Society for Human Resource Management. This survey entitled, “Are They Really Ready to Work? Employers’ Perspectives on the Basic Knowledge and Applied Skills of New Entrants to the 21st Century U.S. Workforce,” revealed the top 4 skills desired from today’s graduates are professionalism, teamwork, oral communication, social responsibility. As you can see it's so important to take the time to teach these valuable skills to all our students. You'll find that it's not that hard to do, you can still incorporate fitness into your activities, and your students will have fun while learning valuable team skills that they'll take with them for a lifetime. 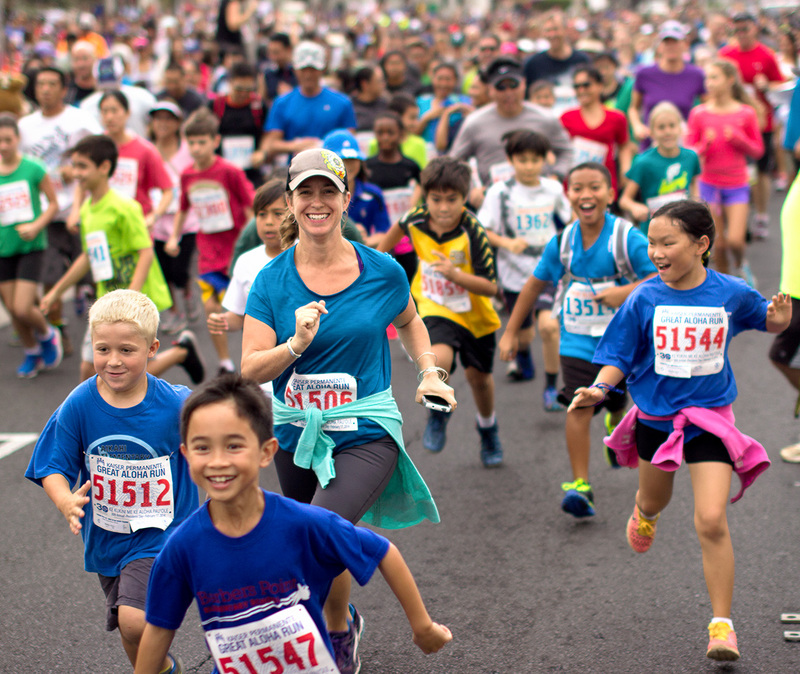 HAHPERD members were proud partners of the 2015 Keiki Great Aloha Run. Our members attended the planning meetings, helped to promote the event in schools, coordinated the packet pick-up, manned the t-shirt distributions, and on the morning of Feburary 14, 2015 cheered on the 2,000 participants - keiki, parents and supporters. This year, $31,500 was raised; these funds will be distributed to 133 public and private schools on Oahu to benefit nutrition and physical education programs. It was a festive morning - with Augie T. as the emcee, young dancers from KES Dance Fitness Team and Dr. Wizard Hound to energize the runners, cheerleaders from McKinley High School to cheer them on, and free admission to the Great Aloha Sports, Health and Fitness Expo, Donna Ede, a Board Member of Kaho`omiki and member of HAHPERD, said "the money generated from this even has the potential of touching over 50,000 school children in the form of: asphalt paint to create game boundaries on parking areas; clothesline and caution tape for make shift nets;laundry baskets to hold balls and equipment; beans and material to make bean bags; and much more. Our efforts help to ensure that teachers won't have to pay out of pocket for these little extras!"